My career in the sound and lighting industry started back in 2001. My love for music and meeting new people led me to the organising of gear for school dances and often playing "filler" DJ when the need arose. I have not looked back since! Over the years and through countless events, I have learnt the art of human behaviour. 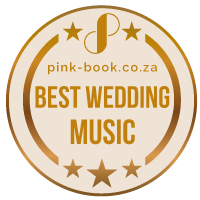 This has played a pivotal role in my ability to read a crowd with ease, thus keeping the dance floor full, the smiles rolling and ultimately creating an unforgettable event for the hosts and the guests alike. Through previously being employed as a DJ, I very quickly developed a positive and noteworthy reputation at the events I performed at and have since then generated a good portion of my business through word of mouth. I have done functions for our top sports stars, celebs as well as loads of international weddings. Clients have often told me that they have been asked "who was that DJ guy that played at your event?" - Well, here I am. Here's hoping that I have made "choosing the right DJ" for your event, a whole lot easier!